Trade Secrets: A Backstage Tour of The Encounter. Come and join sound designers Gareth Fry and Pete Malkin as they take us on a backstage tour of the critically acclaimed and multi-award winning "The Encounter". The day will begin with a wander around the set and a demo of the sound system, giving us an insight into how a show like this is created. You can then watch the matinee performance, if you haven't managed to see the show yet, and quiz the team during the Q&A afterwards. 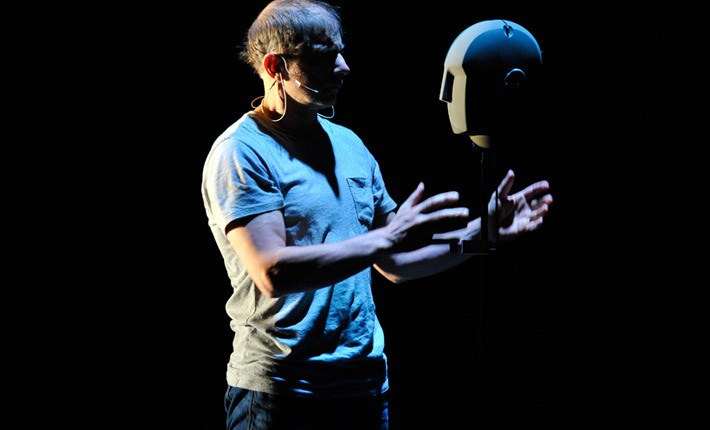 The Encounter is a one-man show with a binaural head on stage, two sound operators and 850 pairs of wired Sennheiser headphones! The show has won best sound design awards at the Evening Standard Awards, Australia's Helpmann Awards, and New York's Drama Desk Awards, and the Tony Awards. As well as touring the world it played a 3 month limited engagement on Broadway in 2016/17. "A must-see - or perhaps I should say, a must-hear." Places are strictly limited on a first come first served basis. If you're not an ASD member yet, here are some good reasons to join. Tickets booked will be issued at the Theatre on the day.